This work begain in December 2012, when Montgomery County Public Schools (MCPS) Superintendent Dr. Joshua P. Starr directed staff to convene a work group—including community stakeholders—to develop options to address students’ need for more sleep, and in particular, to consider adjustments to school start times. The 2013 High School Bell Times Work Group presented its findings in September 2013. During the 2013-2014 school year, Dr. Starr combined discussions of changing school start times with the extension of the elementary school day by 30 minutes. In June 2014, Dr. Starr announced that he was withdrawing his support of the options. In the memorandum announding the dicision, Dr. Starr cited high costs (over $21 million) and stated that, "while there is substantial support for the shift of high school start times, there is significant concern about extending the elementary school day by 30 minutes." 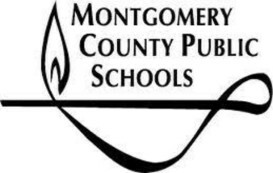 (To see updated information about Montgomery County Public Schools start times that occured after the end of the Task Force, click here ).